When you doubt that you can change, you have to trust, trust in that powerful voice inside you saying yes-you-can. When going after a goal it’s important to never lose sight of the integrity of the journey. The journey to any result, whether it is the summit of Everest, a promotion in your job, running the marathon – is just as important, if not more so, than the end. It’s important to reflect on the fact that the climb offers you far more value than actually getting to the summit. Because the climb towards your goals shapes your character and offers you opportunities to grow and tests you to see how much you want to win. It’s the climb that serves to teach you and evoke the greatness that inhabits you. You get to develop the qualities of greatness like perseverance and courage and resilience and patience. Yes, actually getting to your dream feels wonderful. But it doesn’t bring you the same gifts as the journey to the dream does. We learn more from the times that test us than we do from times of success. 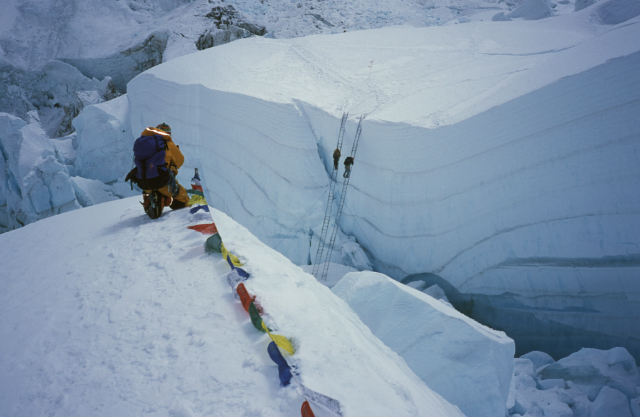 I learned more from the drudgery and the danger of going up and down the mountain acclimatising than I did from actually standing on the summit of Everest. I learned more whilst climbing the mountain. So the next time you feel impatient or frustrated or hopeless en route to the professional and personal life that you’re committed to creating, remember that precisely where you are might just be the best place you could possibly be – because it’s where you are learning the greatest lessons – from the greatest challenges. And so reflect on the fact that maybe, just maybe, the journey is a richer place to be than the destination. I definitely learned more from climbing Mount Everest than I did while standing on the summit, as that was so brief…but what I did have on the summit was that ultimate prize, that fabulous feeling of achievement, that no money can buy, which no one can ever steal or take away from me or copy or - like you can with a car, a house or some other material possession which we are always afraid of losing, or whose attraction wanes. What I have can never be taken away, and that feeling is always there, that feeling of achievement. 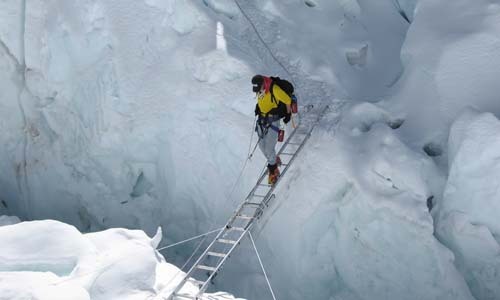 You can have that too – you don’t need to climb Everest, to have it, you just need to achieve your own goals…. And it’s free. Feelings are free, and priceless at the same time. Goals are achieved one step at a time. A successful life/goal is nothing more than a succession of successful days strung together… that’s how I climbed Everest.